Below, you see photo's of a set of three thermoprinted chess dice. 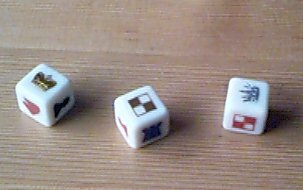 These dice were fabricated by, and kindly donated by Modest Solans. 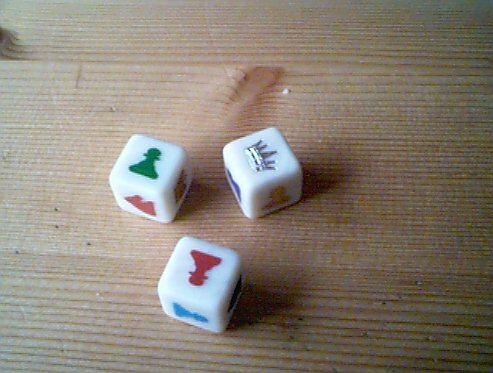 The dice can be used using Heraldic Chess. The first three photo's are thumbnails: click on them to enlarge. 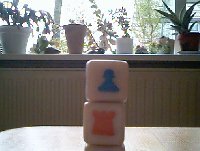 Written and photo's by Hans Bodlaender. Thanks to David Howe, who donated the camera. 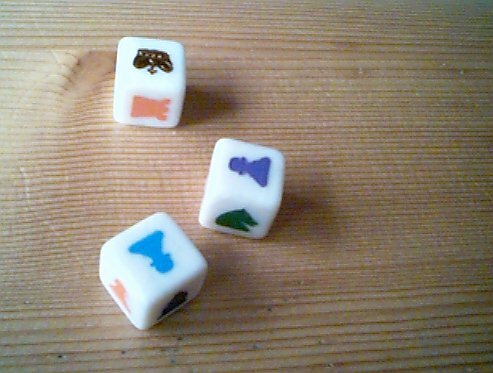 Heraldic chess dice: photo's. 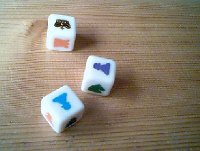 Photo's of dice with chess symbols from Heraldic chess set.